This summer was a bit of a let-down from the point of view of barbecues. So I never got round to making the minted lamb burgers on p116, or the baps to go with them. But as I was skim-reading the recipe, I read a little addition at the end, where Lorraine says these rolls make gorgeous iced buns. An iced bun was always my 27p treat from Peter’s bakery in Durham, on my way to a Friday 9am lecture on group theory. So of course, my appetite was whetted and I decided to make them. The dough is pretty standard, except that it contains milk. 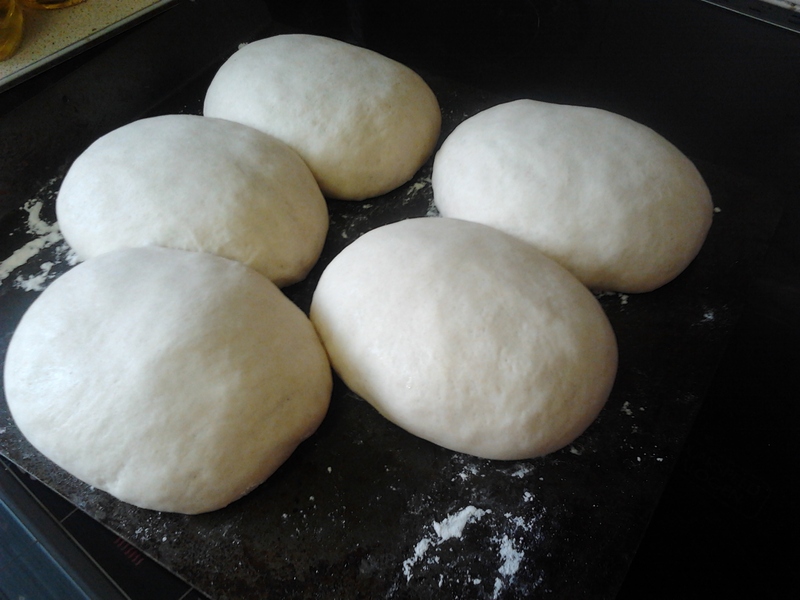 I made it in the bread oven and shaped it into rolls to rise. And boy did they rise – they were huge. Next time, I’d divide it into 10 rolls I think. They got cooked for about 20 minutes at 180’C. 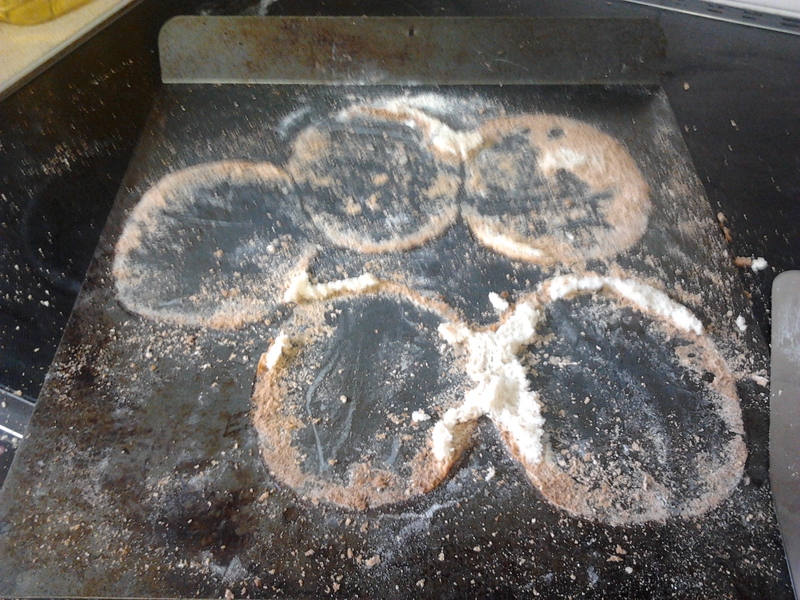 And they got very stuck on the baking tray. I managed to chisel them off, but the tray may never be the same again. I then iced them. They were gorgeous. Mr Cookingfanatic (he of the many opinions) thinks iced buns are a poor man’s Chelsea bun and not worth eating, but even he though they were delicious! Honestly – who makes their own hamburger baps? 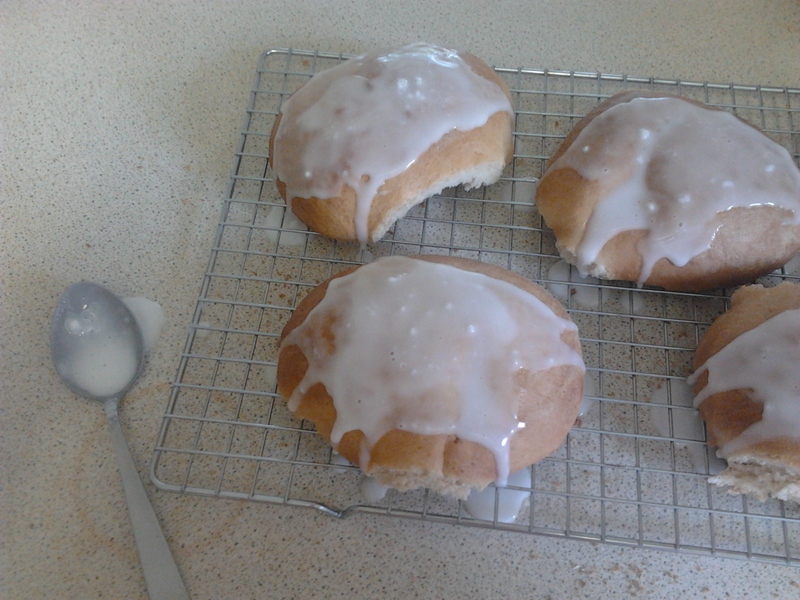 Make iced buns instead – you know you want to! Iced hamburger baps, i presume, or else where is the burger?